Working in the fitness world helped Kate believe she could do more with her body. 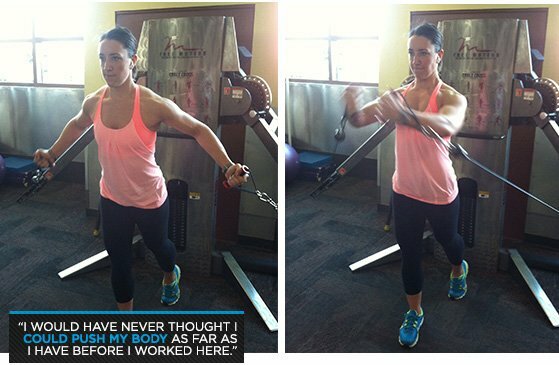 We have three hard-core training programs on our site, and she crushed them one after the next! You don't have to be a figure model to work at Bodybuilding.com. But if you're not careful, you might just become one. The atmosphere and motivation Katie received from her coworkers helped her to believe she could change—and did she ever! This 25-year-old site search optimizer is counting the days until her first figure competition and striving to be more than she thought possible a couple years ago. It takes a special employee to not only buy into the company's core values, but to live them this intensely in the hours away from the desk. Katie will take the stage later this spring, but first she gets to stand in our spotlight at this month's Fit Employee! Athletic Background: I've always played sports and been fairly athletic. I grew up skiing and playing soccer and golf. These are all still big parts of my life. Random Fact: I am one jump away from being certified to skydive solo. Fitness Declaration: To be the healthiest, best version of myself I can. Tell us a little about yourself and your position at Bodybuilding.com. I manage the internal search engine for the site. So I have a big part in how and why products show up the way they do in the store. I started in customer service and was there for a couple of weeks before coming up to corporate for my current position, where I've been for two-and-a-half years. What was your fitness level before working at Bodybuilding.com? The gym has always been in the background as a maintenance tool, but I've lately been enjoying making it a bigger part of my life. I did most of my exercising outside. I didn't have much knowledge about nutrition and weightlifting other than, "I think I'll do these exercises today." What sort of competitions do you enter to prove your athleticism? I play in a lot of golf tournaments during the summer and fall, and since I've worked here, I've been able to participate in indoor soccer, dodgeball, kickball and some other fun races. I'm also eight weeks, four days, and about five hours out from my first Figure competition (not that I'm counting or anything). Do you feel competition has made you stronger, as an athlete and person? I haven't competed yet, but I do feel the training has made me stronger both mentally and physically. It has also made me more confident. I know if I can make it through this training, I have the discipline to do anything I put my mind to. That is an empowering feeling. The habits and lifestyle changes I've made have and will continue to influence other aspects of my life. The environment at Bodybuilding.com, for me, is infectious. People talk about what they're working on with their nutrition or their training, and I can't help but wonder what that regimen could do for me. It's been a fun two-and-a-half years of trying new things, seeing what works and what doesn't, and then trying something new. That is a great benefit of working here: being surrounded by so many different types of people and athletes. The motivation, encouragement, and assistance is endless. As the company changed over the years, do you find that you had to change with it? I have changed as the company has grown. As we change from year to year, one thing stays constant: the morals and underlying ideals of Bodybuilding.com. We come up with new content and add new products, new trainers, even give the cart a facelift. But why do we do what we do every day? The reason behind all of these changes stays constant. This has made me learn and grow as an employee, person and athlete over the last two-and-a-half years. How does the Bodybuilding.com environment influence your health, fitness, and appearance goals? The Bodybuilding.com environment influences my health, fitness and appearance goals in a positive way. I would have never thought I could push my body as far as I have before I worked here. The people alone have changed me for the better, from those who have answered question after question to those who push me to get out the last few reps of a workout, I wouldn't be where I am today without them. This company has given me the resources to reach goals I would have never even made for myself, such as competing. How do you balance your private goals with those of the company? I have found the company ideals and goals to be right in-line with my own, so a work/life balance has been relatively easy for me. Every once in a while I want to warm up a doughnut in the break room, but then I think "What would [Vice President of Digital Publishing] John Hardesty say about that?" So I choose a Quest Bar instead. Are there any negatives to the company? There aren't any 115-pound dumbbells to lift here, and the gym hasn't replaced the one someone broke! My co-workers are intelligent, unique individuals. Each of them has their own goals and aspirations, and I love working with them, talking with them, and spending 40-plus hours per week with them. They are supportive of my goals, but they will always be there to make sure I'm not so wrapped up in them that I forget what it means to let loose and have fun every once in a while. I have formed some great friendships with these people. Each in their own way, they are my rocks who keep me grounded and sane. I remember when Kate Kennedy first told me I would do great in figure competition. I thought to myself, "Yeah right! There's no way I'm going to get up on stage in front of hundreds of people and flex for them." Then, as I finished the Kris Gethin 12-Week Trainer last March, I started considering that she could be right. After I completed Jim Stoppani's Shortcut to Size and Kris Gethin's DTP Trainer, with [Vice President of Sports Nutrition] Martin Rosales pushing and yelling at me through each training session, it was time to cut down and see what all that hard earned Martin-muscle looked like. I would have to say, I wouldn't be where I am without those two. They have been there for me on good days and bad. Have you inspired others with your new look and attitude? Just this morning a woman came up to me as I was finishing up my workout. She introduced herself to me and asked me if I was training to compete. I nodded and said yes, I've been training for a few months now. She then told me she's seen me around the gym in the mornings and that I was an inspiration to her. She asked me if she could approach me with any questions she might have while she continues her transformation. I was so taken aback and truly touched that she wanted to reach out to me and tell me that. I have never had anyone come up to me like that. What types of activities do you enjoy outside of work, outside the weight room? Outside of fitness, I enjoy most outdoor sports and activities like golf, soccer, camping, rafting, skiing and mountain biking. I have to say, I also enjoy sitting outside in the summer time with a good beer and a slice of pizza or a burger. What is your favorite feature on the Bodybuilding.com website? My favorite part of the site is the recipes section. I have several dozen recipes bookmarked to try when my competition season is over! We have such a variety, and they are created such that you can take bits and pieces of a recipe and make it your own. I don't think I'll ever get bored with my food! How does Bodybuilding.com help to motivate or support you in fitness and life? Having the support of the company to work out and live a healthy lifestyle has been invaluable. Not many people can say their company pays for them to go to the gym or rewards them for good habits, furthering their knowledge, and even for reading a book. Bodybuilding.com does a great job of promoting a healthy, well-rounded life for each of its employees. You participated in the Employee Transformation Challenge in 2012. How did that experience affect the last year of your life? My experience with the 2012 Employee Transformation Challenge is what shaped my year into what it has become. I found a trainer who made me grow and made me want to see how far I could push my body. I saw great results from the Gethin Trainer, and it made me want to try new things to see how my body would respond. If I hadn't seen those results back in March of 2012, I wouldn't have made the decision to compete. 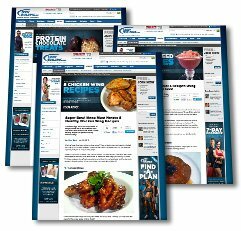 How does practicing the bodybuilding lifestyle improve the productivity of Bodybuilding.com? For myself anyway, I have more energy at work, I'm happier at work, and I'm more invested in what I do because I know the benefits I've experienced. Living this lifestyle and seeing the positive changes in myself makes me want to share and give back to our customers however I can in hopes of changing just one of their lives. What are your future goals? Do you think working for Bodybuilding.com will help you reach them? 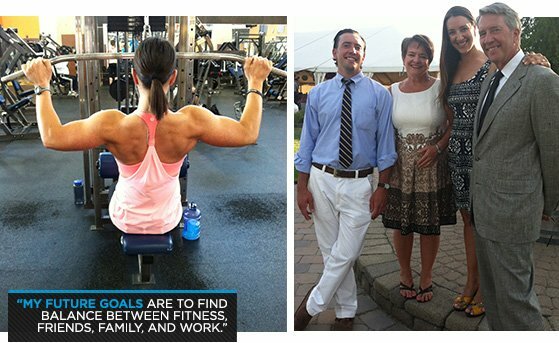 My future goals are to just find a healthy balance between the fitness, friends and family, and work. Working for Bodybuilding.com has helped me learn how to be efficient with my training and nutrition. I have learned I can be physically fit and still go out to dinner or lunch and have a beer with friends. Note: I take one of the above three pre-workout supplements, depending on the muscle group and how close I am to my competition. Want To Work For Bodybuilding.com? Company Info, Career Opportunities And More! Ever wonder if we actually practice what we preach? Well, look no further. The Bodybuilding.com Fit Profile Of The Month feature has been created to share the successes and determination of each employee selected.